This is a small-ish genus of 8 species all feeding on Acer (maple trees). 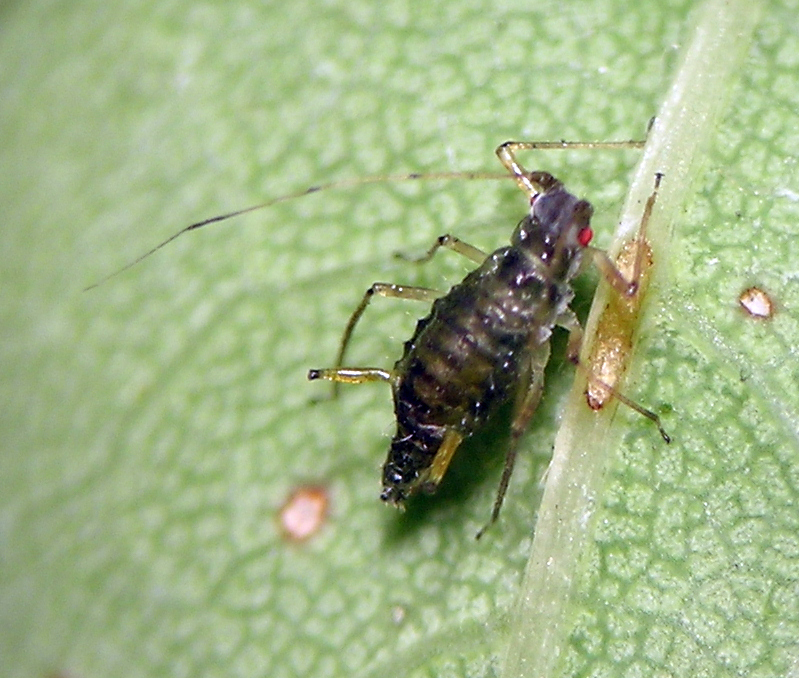 Apparently only one of these is native to North America, Drepanosiphum braggii Gillette, which feeds on boxelder (Acer negundo). I have collected 3 species of this genus, but have photos of only one, Drepanosiphum oregonense Granovsky, which was introduced to western North America where it is often seen on the most common low-land native forest maple, Acer grandidentatum (big-leaf maple). Drepanosiphum oregonense from Orcas Island, Washington in July. 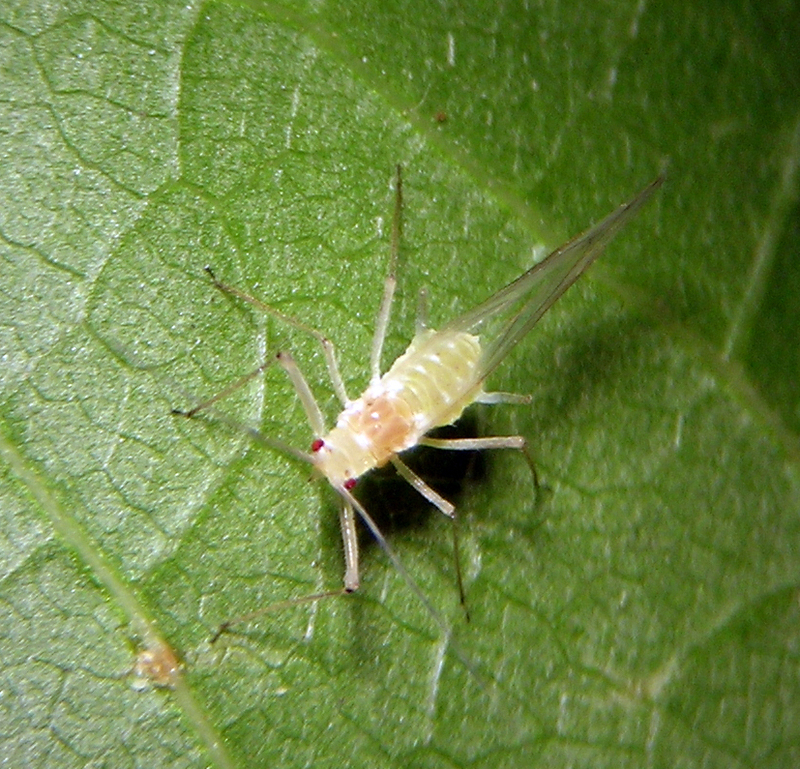 A Drepanosiphum ovipara collected in Prosser, Washington. 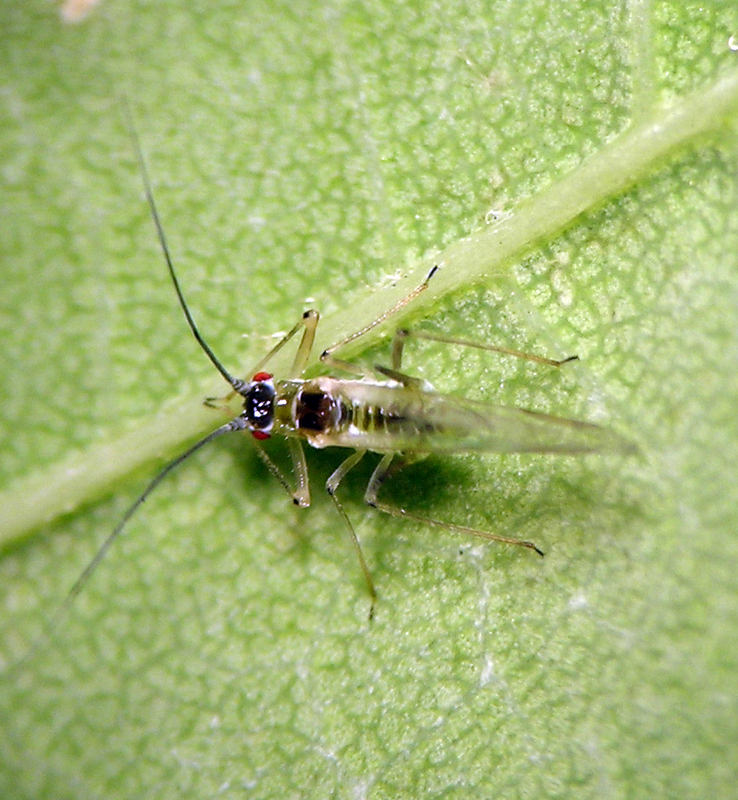 A Drepanosiphum male collected in Prosser, Washington.